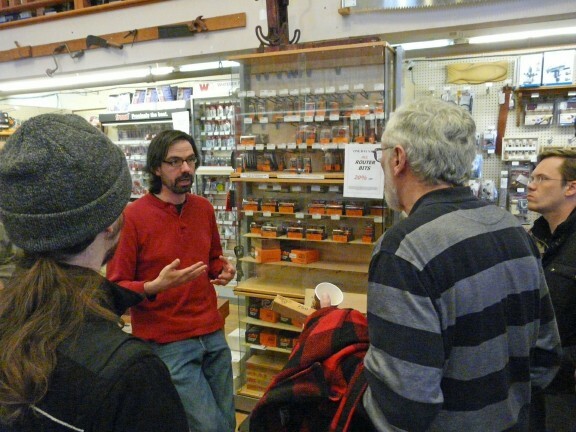 The Lie-Nielsen Hand Tool Event: More Pictures! 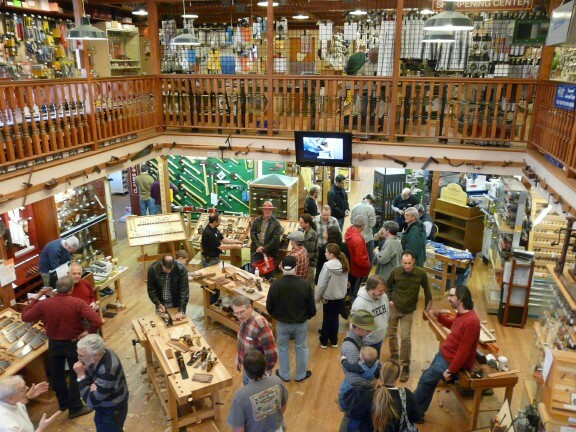 For those who couldn’t be at Highland for the Lie-Nielsen Hand Tool Event earlier this month, and for those who were there but want to relive it again, here are some more pictures, and some links to even more! Enjoy! According to Mom and Dad, Tina and David, 15-month old Willie Hammond already takes his truck apart using a screwdriver! 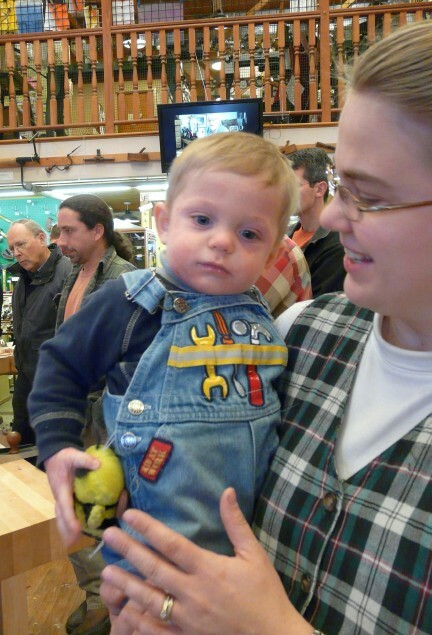 Dig those overalls! 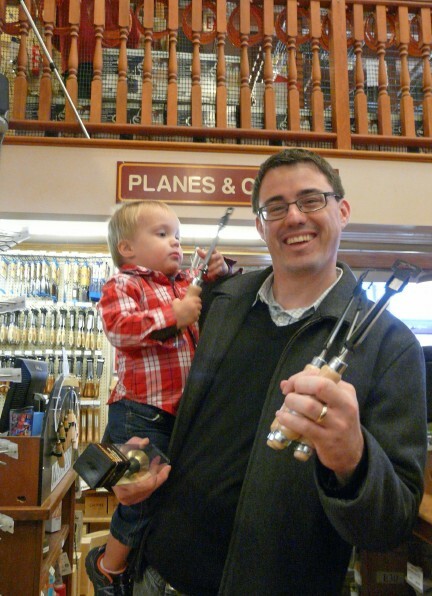 Myers already loves tools according to his Dad, Derek. 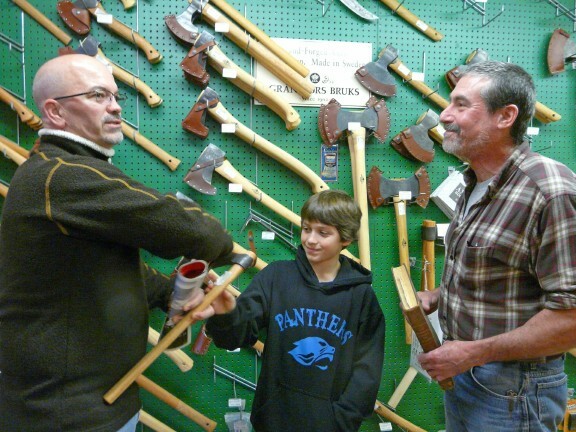 Dad says they’ve watched the Woodnews kids’ projects videos. 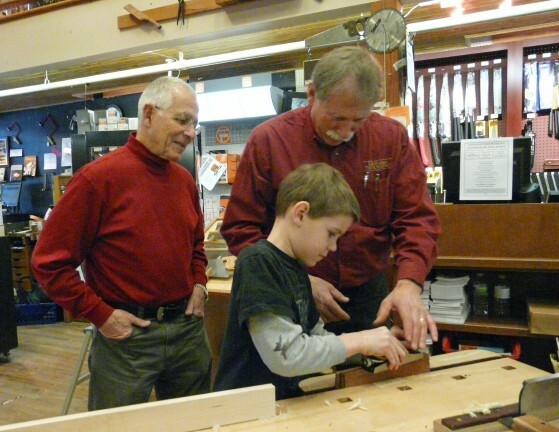 He even grabbed that chisel from Dad – he’s ready to get woodworking! 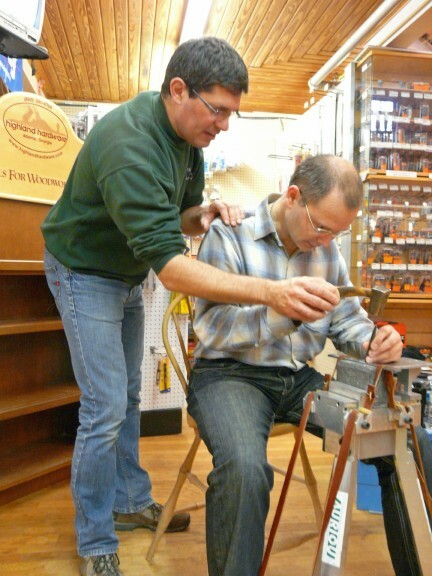 Morton’s Shop: Adding Leaf Alignment Pins Top Woodworking Plans: So You Want to Build Something?